Onesheet, the latest project from ArtistData founder Brenden Mulligan launches into beta today. 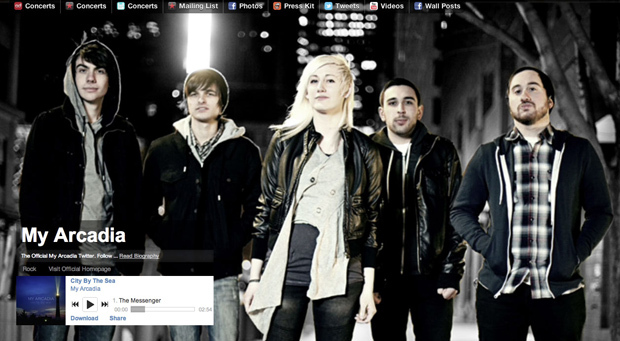 Like an About.me for bands, Mulligan holds that Onesheet is the simplest web presence for a band currently available. With Onesheet, bands can verify their identity through Facebook or Twitter and connect their musician-specific third party services like Soundcloud, Bandcamp and ReverbNation as well as social media services like Posterous, Tumblr and YouTube. 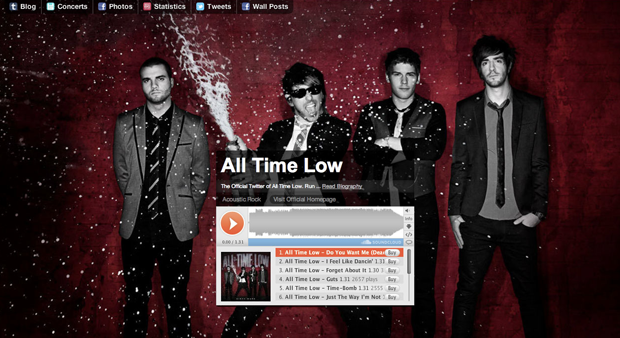 Once all their content is in, bands can tweak their Onesheet’s design, making changes like font and widget positioning. Aside from this slight customization, bands really don’t have to do much work, as the service updates itself. At the moment Onesheet is bootstrapped, and Mulligan plans on monetizing by offerring premium features. Instagram, iTunes, Topspin and Rdio and other integrations are in the works. The beta is pretty much open and TechCrunch readers who happen to be in bands (I for one hope there are many of you) can sign up for Onesheet today and get access to a customized domain within the week, Mulligan tells me. “It’s so crazy easy to set one up, I think a lot of bands will give a try,” he says.